I have wonderful friends. They cart duck eggs from overseas and even get me poppy seeds from a multitude of countries when I have a mind to make lemon and poppy seed muffins. The latest installment of food gifts came from a good friend whose husband had bought Redmart lamb at killer staff prices and she decided to give me some to test out. This weekend I have been trying out lamb rump recipes and the results have been interesting. Apart from an easy lamb and barley soup I threw into the slow cooker for an easy soup (awesome! ), I also roasted lamb rump with root vegetables. Pat dry the lamb. Sprinkle paprika, cumin, salt, pepper on the lamb, coat with minced garlic and marinade in the fridge for at least 3 hours. Toss the mushrooms, pumpkin, tomatoes and green pepper with the salt, pepper and oregano with the avocado oil and spread out in a baking tray. Make space in the middle of the tray and place the lamb, fat side up, in the center of the tray. Allow the lamb to rest before slicing. Serve warm with the roast vegetables. 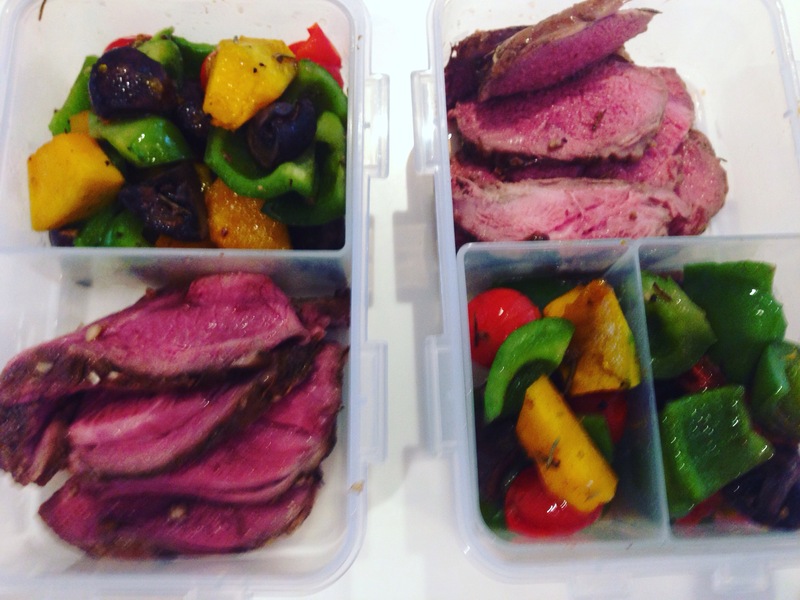 Lamb rump packed for lunch with roast vegetables. More than enough for a him-and-me portion.